Intraoral massage simply means massage that takes place inside the mouth. It can surprise some people to find out how ubiquitous our muscles are, they cover everything, including the insides of our mouths! 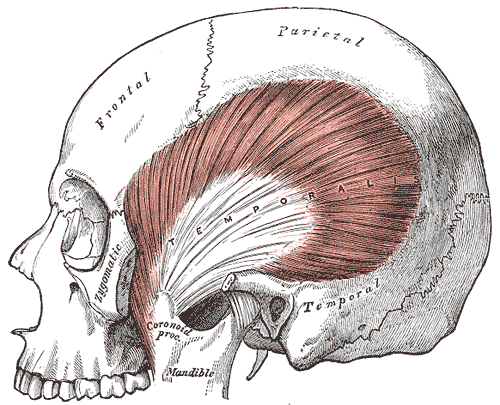 While we can access some of these muscles by working on the jaw from the outside, we can be much more complete and effective at relieving pain and tension when we work all the muscles from more angles. So what kind of pain, tension, and other issues can we relieve with intraoral massage? How is Intraoral Massage Performed? 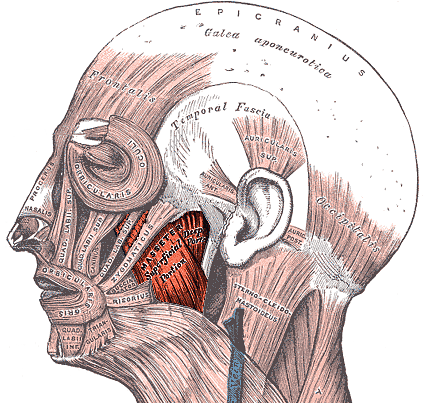 As mentioned earlier, we can work on some of the muscles of the jaw without intraoral massage, namely the masseter and the temporalis muscles, but only one side of them. We can access them more completely when working from the other side, which happens to take us inside the mouth. When working intraorally I use just one finger in the mouth at a time, while the other hand supports the head and works from the outside. 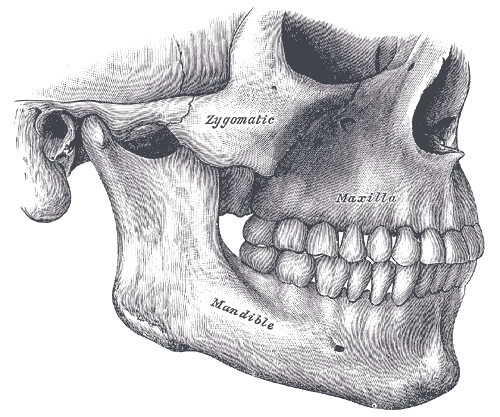 The other two muscles of mastication (chewing) that we focus on are the lateral and medial pterygoids. 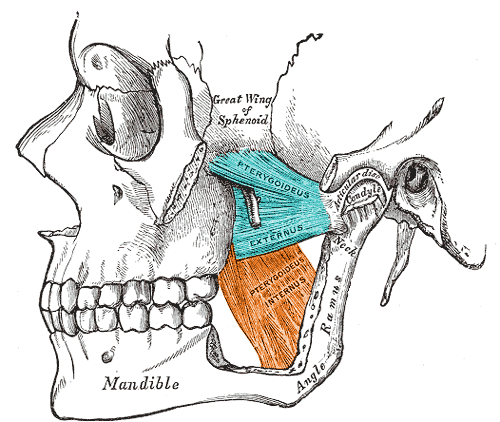 In addition to these four main muscles of mastication, using intraoral massage we can do some more detailed focus on a group of muscles collectively known as the suprahyoid muscles. 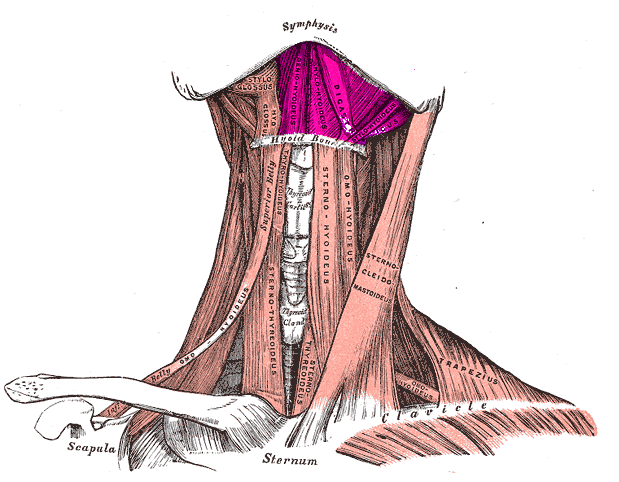 When we’re working on them intraorally, the suprahyoid muscles form the floor of the mouth, but from the outside, they are the uppermost muscles of the front of the neck and under the chin, which are difficult to treat without counter pressure from inside the mouth. When performing intraoral massage I always wear a new medical-grade exam glove on the hand that will be working in the mouth. To remain sanitary and keep you safe, this hand touches nothing else and the glove will be disposed of as soon as we are finished with one side of the mouth. Then new glove will go on my other hand so that we can work on the second side. Gloves are never reused, even on the same person within the same session. Because the muscles in the mouth are not used to being pressed on, it is important that you communicate openly with me as we work to remain effective and avoid discomfort. However, because my finger will be in your mouth, talking loses it’s effectiveness. Instead, you will use one hand to hold up fingers to communicate the level of pressure you are feeling as we work, one being almost none, five being painful. Our goal will be to stay at a three, enough pressure to be effective, but not painful at all. If you have any of the symptoms listed above, please come in and get assessed to see if intraoral massage can help relieve your pain. Eric is a massage therapist in Skagit County, WA specializing in pain relief and injury treatment. He utilizes visceral manipulation and pain science education to help his clients overcome their pain. I'm Stretching My Sore Back But It Still Hurts!